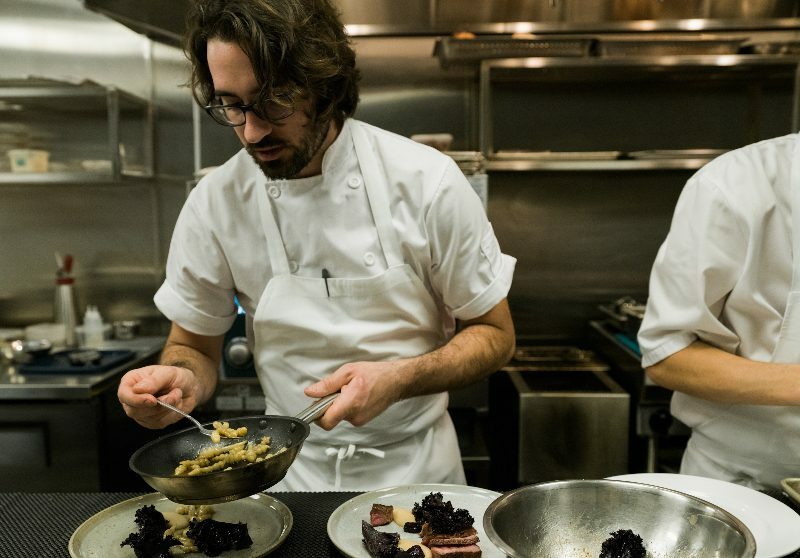 Chef Eric Robertson joined Pearl Morissette in April 2017, the result of a friendship cultivated with Daniel Hadida, whom he met while working in Belgium. The two had kept in touch throughout their time in Europe and beyond, sharing experiences as Canadian chefs with similar culinary backgrounds and passions. Robertson spent time cooking in France and then in Belgium, first working as a cook at the Michelin-starred In deWulf in Dranouter and later, he lead the kitchen at De Vitrine in Ghent. 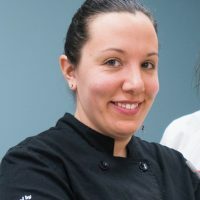 After returning to Toronto, and working as sous chef at Langdon Hall, Robertson later joined Hadida at Pearl Morissette. Originally from Brantford, Eric has always had an agrarian passion, and brings his international influences and passion for creating dishes from locally sourced foods to his role as Chef at The Restaurant at Pearl Morissette. The Sportsman in Seasalter, England. The Art of Cooking with Vegetables, by Alain Passard. Medium chicken wings, preferably all drumsticks. What food did you think was over-rated until you tried it? I’ve always been pretty easy when it came to food, I find some food trends over-rated, but I never find actual food overrated. Favourite knife or kitchen tool? What restaurant dish seemed the most intimidating, but is actually really easy to make? Souffles? Every dish should always leave you a little bit intimidated since it can always be done faster or better. Favourite ingredient you can’t get enough of right now? Bread miso, we make it with our leftover bread and a barley koi. What is a new technique/flavour you are experimenting with currently? Not really a new technique but Garums are finding their way into a lot of different savoury sauces on our menus. 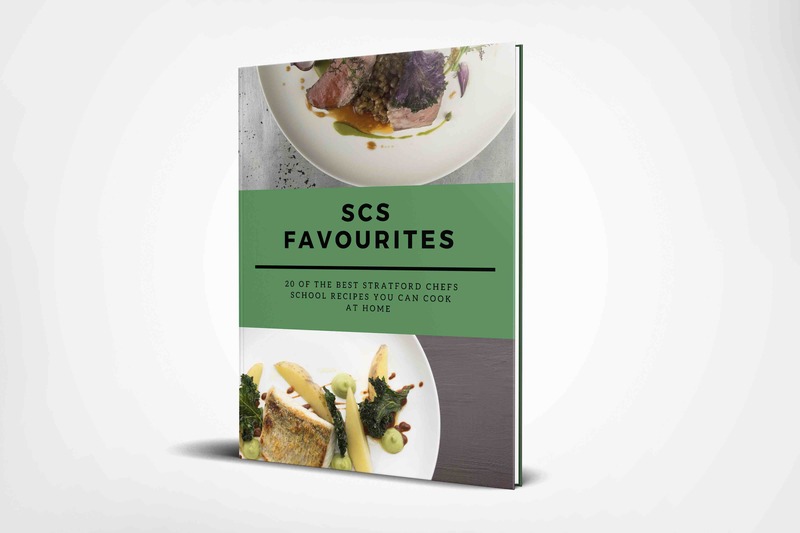 Are there any recipes from SCS you still use? I wish I still had some of Chef Bex’s pastry recipes! What is your best SCS memory? Working with Ricardo Camanini, his energy and respect for his profession were immeasurable. Something I always hoped to emulate. Chefs Eric Robertson and Daniel Hadida will be our Canadian Guest Chefs on Tuesday, February 26. Click for details! Read the Interview “The culinary gems behind the Restaurant at Pearl Morissette” in The Globe and Mail.